This outstanding example of a 2018 Ford Mustang GT is offered by Blackstock Ford Lincoln. Today's luxury vehicle is not just about opulence. It's about a perfect balance of performance, comfort and attention to detail. This 2018 Ford Mustang is the perfect example of the modern luxury. Based on the superb condition of this vehicle, along with the options and color, this Ford Mustang GT is sure to sell fast. You've found the one you've been looking for. Your dream car. The Ford Mustang GT will provide you with everything you have always wanted in a car -- Quality, Reliability, and Character. Dare to turn heads in our 2018 Ford Mustang GT Fastback that's got plenty of swagger in Shadow Black!powered by a proven 5.0 Litre V8 that generates 460hp while paired with a fun-to-drive 6 Speed Manual transmission with launch control as well as Electronic Line-Lock. Our GT is amazingly agile and responsive as it sprints to 60mph in just 4.7 seconds while scoring near 9.4L/100km. And the icing on the cake - it provides a deep rumble that adds to the timeless good looks of our GT Fastback with its iconic curves that ignite a sense of adventure. Take note of the beautiful alloy wheels, raised blade decklid spoiler, LED fog lights, and HID headlamps with signature lighting. Open the door and settle into the GT's sporty driver's seat. You'll enjoy a wealth of thoughtful features including a 50/50 split folding rear seat, aluminum-trimmed dashboard, chrome-accented 4-gauge instrument cluster, Intelligent Access with push-button start and even Track Apps performance telemetry! Maintain a seamless connection thanks to the Sync voice-controlled interface with a central screen, Bluetooth, and an impressive sound system with a CD player and dual USB ports. Not only does our Ford Mustang treat you to exceptional driving pleasure, but it also provides priceless peace of mind with SOS post-crash-alert and a perimeter alarm. You'll be well-equipped with a rearview camera, advanced airbags, a tire pressure monitoring system, and MyKey parental controls. Rekindle your love of driving with this incredible machine! Print this page and call us Now... We Know You Will Enjoy Your Test Drive Towards Ownership! Blackstock is proud to be a premier Ford and Lincoln dealership in the Orangeville, Ontario area. From the moment you walk into our showroom, you'll know our commitment to customer service is second to none. Whether you need to purchase, finance, or service a new or pre-owned Ford or Lincoln, you've come to the right place. 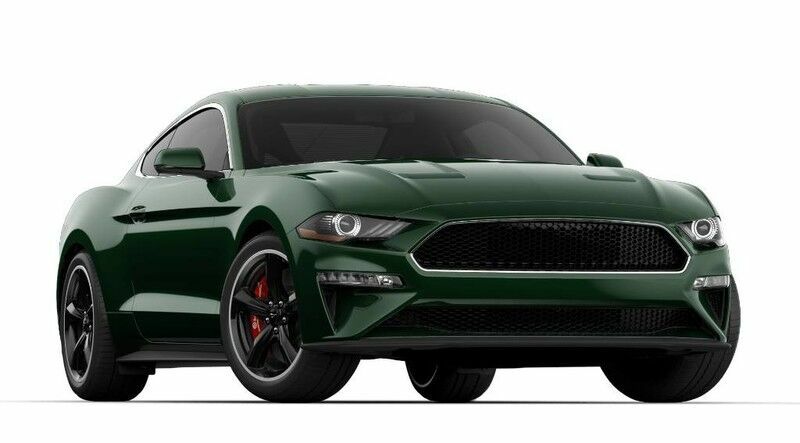 This outstanding example of a 2018 Ford Mustang GT is offered by Blackstock Ford Lincoln. There's a level of quality and refinement in this Ford Mustang that you won't find in your average vehicle. The Ford Mustang GT will provide you with everything you have always wanted in a car -- Quality, Reliability, and Character. There is no reason why you shouldn't buy this Ford Mustang GT. It is incomparable for the price and quality. You can finally stop searching... You've found the one you've been looking for. ** OH YES BABY - ANOTHER VENOM FROM THE FORD GUYS WHO CUSTOMIZE!!!! AND ANOTHER VENOM 700 AT THAT!! 700 HP!! ** PRICING INCLUDES: $12,000 for a Roush Supercharger, Custom Leather Interior Upgrade $2199.00, Full 3M Custom Matte Black full body wrap worth $4000, $1799 for an Anderson Composite carbon fibre wing, $599 for AirDesign side louvers and $349 for a complete 3M Colour Stable window tinting! ** Dare to turn heads in our 2018 Ford Mustang GT Fastback that's got plenty of swagger in Shadow Black! Fasten your seat belt and feel the power from the 5.0 Litre V8 that generates 700hp while paired with a fun-to-drive 10 Speed SelectShift Automatic transmission with launch control as well as Electronic Line-Lock. And the icing on the cake - it provides a deep rumble that adds to the timeless good looks of our GT Fastback with its iconic curves that ignite a sense of adventure. Take note of the beautiful alloy wheels, raised blade decklid spoiler, LED fog lights, and HID headlamps with signature lighting. Open the door and settle into the low, sporty driver's seat. You'll enjoy a wealth of thoughtful features including a 50/50 split folding rear seat, aluminum-trimmed dashboard, chrome-accented 4-gauge instrument cluster, Intelligent Access with push-button start and even Track Apps performance telemetry! Maintain a seamless connection thanks to the Sync voice-controlled interface with a central screen, Bluetooth, and an impressive sound system with a CD player and dual USB ports. Not only does our Ford Mustang treat you to exceptional driving pleasure, it also provides priceless peace of mind. You'll be well-equipped with a rearview camera, advanced airbags, a tire pressure monitoring system, and MyKey parental controls. Rekindle your love of driving with this incredible machine! Print this page and call us Now... We Know You Will Enjoy Your Test Drive Towards Ownership! Blackstock is proud to be a premier Ford and Lincoln dealership in the Orangeville, Ontario area. From the moment you walk into our showroom, you'll know our commitment to customer service is second to none. Whether you need to purchase, finance, or service a new or pre-owned Ford or Lincoln, you've come to the right place.